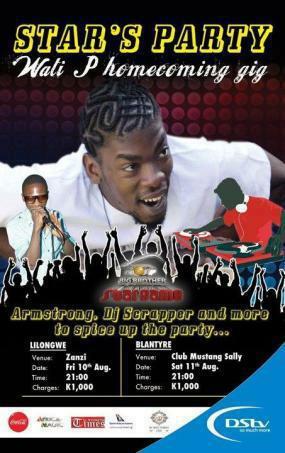 Its Wati’s Big Brother Africa welcome party. It start in Lilongwe at Zanzi on Friday, August 10, then the party go to Blantyre at Club Mustang Sally on Saturday, August 11. Remember its the Star’s Party! !